Since I released the soy melts, I have been asked several times if I sell the burners as well. I have since sourced some lovely white porcelain oil burners which are now available for purchase. They are available on Felt with either a gift box of melts and tealights, or with a box of melts. To celebrate Spring, and the addition of oil burners to my soy melt range, I am giving away a gift set to one lucky newsletter subscriber. 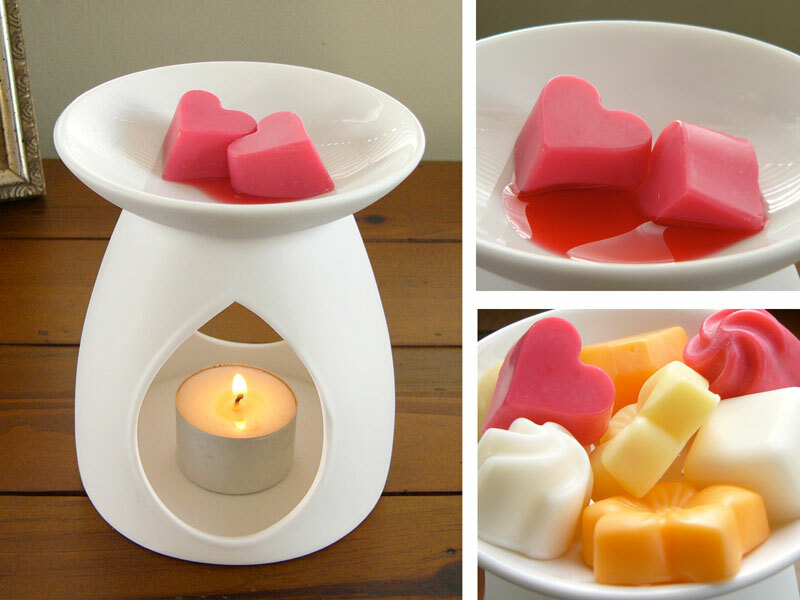 The prize pack includes a porcelain oil burner with a gift box of 10 soy melts (or 12 space invader soy melts) and three soy tealights. If you're already a subscriber, just follow the instructions in the newsletter I sent out on Tuesday. If you aren't already a subscriber, you can sign up here. Not only will you be entered in the draw, but you will also receive monthly updates with information about new products, upcoming events and exclusive offers. To be in to win, you just need to sign up before the 30th September. Entries are limited to one per person, and the winner will be drawn on the 1st of October. Don't forget to tell your friends who might be interested in receiving my newsletter and winning this great prize to sign up as well!